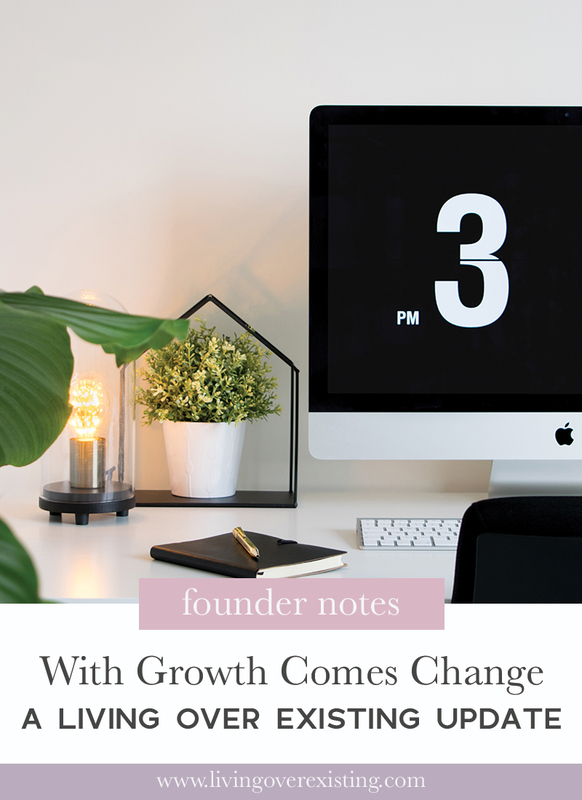 It's been a while since I've written a founder note here so I wanted to update you on what's been going on behind the LOE brand! We've officially been in business for 7 months and it has been filled with getting a better understanding of our audience, testing and trying out new content & products, creating a solid plan for how we will monetize and also making sure that the brands message is as clear as possible. My faith. I know that this is a God given opportunity and even when I don't feel capable He always finds a way. Listening to the stories of other founders. Apparently most women dive into starting a new business blindly and have still been able to secure funding and 10x their brands growth. Your feedback. I don't necessarily thrive off of the opinions of others, but hearing that you guys have been enjoying the podcast, the articles and the overall purpose of the brand has given me the reassurance that we are on the right path! So here's what we have been up to since my last update. One of the things I wanted to make clear, and that I am still working on, is making sure people knew that this place isn't just a blog. While there is absolutely nothing wrong with blogging (my career actually got its start through blogging), I didn't want to put a limit on what LOE could be. The brand has grown from just a book and a podcast to a digital media company for women entrepreneurs. Even though we have a long way to go, I would boldly put us in the same category as sites like The Everygirl, Girlboss or even a Refinery 29 (if it were for entrepreneurs). Our logo recently got a facelift! I loved our original logo and felt like it fit the book perfectly, but after tweaking our message, I didn't feel like the logo could withstand the test of time. It was a bit edgy and the brand I wanted to build was clean and simple. Plus I had seen the font we were using on a ton of other websites and logos. Ultimately, I wanted a logo that could grow with the brand and that would also look good on both products, marketing materials and our website. Thanks to my incredible husband, I believe we nailed it! To be honest, I have been focused more on building a genuine community than I have been on monetizing, which has been both good and bad. I knew from my personal brand that if you want to make money then you needed to create a brand worth investing in, but I believe I could have focused on both. Creating value while also generating consistent income into the brand. So now I am putting focus on monetization as I have decided to slowly step away from one-on-one coaching in my personal brand to fully focus on LOE. I am working on new products to add to the LOE shop and am actively pitching to sponsors for the podcast. We create content on several platforms, so the goal is to monetize across the board. We began to consistently create articles here on the site back in January and I have been diligently watching our stats to see if people were even still interested in articles and which articles people seemed to like the most. So far, the response has been incredible. Not only have our pageviews increased but in our recent mid-year survey, many of you said that articles were your second favorite way to consume content (right after the podcast). We also made some changes to our weekly newsletter, The Weekly 3. It originally went out every Wednesday morning and consisted of simple notes from me. But again, learning from the mistakes that I have made in my personal brand, I knew that in order to be welcomed into your inbox every week, then I needed to make sure the content was top notch. We now send our newsletters out on Sundays (thanks to a little poll that we conducted on Instagram to get your feedback.) and instead of me rambling, we share one tip, one article and one interview designed to help you kick start your week. Sometimes the content is from the LOE brand and sometimes it's from other brands that we enjoyed over the week. This format has been a huge success as we've seen our open rates and click rates continue to increase week by week. Because it wouldn't be a good recap if I didn't give you the REAL behind building a new company. My biggest struggle over the past 7 months has been fear. And yes, this is coming from the woman who wrote the book on pushing past your own fears. Building a new business, that is bigger than you, in an industry that is still somewhat unknown is terrifying. Especially, since I have been feeling this shift in my soul that is wanting to work more on LOE and less on my personal brand. Potentially giving up what has been working for me over the past few years to explore a brand new business that has the potential of not making it, is hella scary..and uncomfortable. But like any other shift that I have experienced in my last 29 years of life, I know that with growth comes change. Each season in my life has served a bigger purpose. Not being able to find a job after college led to me starting my first business. That first business led me to blogging. And blogging led me to coaching. Now in this season, I have a strong desire to create something bigger than myself. Something that will allow me to impact more women than I could ever do through one-on-one coaching. So while it's scary, I know that with faith and an incredible team, I will serve my purpose within this season. If you're struggling with making a change, listen to episode 22 of The LOE Podcast. Now that our purpose and audience are clear, I plan on going all in with this brand. From keeping the content consistent, to creating new products to working with other brands. And also spreading the word about our mission as far and wide as we possibly can! Also, in the very near future, bringing on more team members to help us really take LOE to new heights. Of course, as the brand continues to grow, I will be sure to keep you updated! Alisha is an author, business coach and founder of Living Over Existing. Visit her website.